Highly secured with easy user interface apps are the developed under the iPhone Development for the best user experience. The android is one of the most popular smartphone OS and we have the right platform to launch you as an expert in the android development. PHP Training not only offers the web development techniques, but focuses on the security optimization development on various OS too. Java is one of the most popular programming languages and we teach you that in one of the most easy and smartest way. If you are interested in training and want to know more about our admission status and batches timing. Please Apply now. 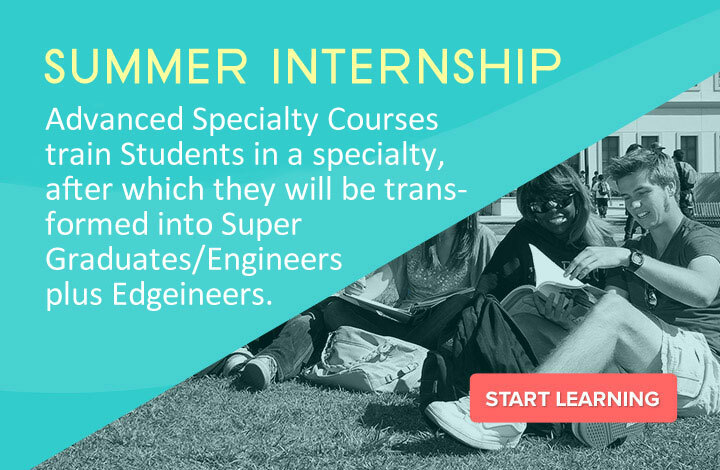 Advanced Specialty Courses train Students in a specialty, after which they will be transformed into a Super Graduates/Engineers plus Edgeineers. Core and advanced features of each technology, are covered in interactive classroom sessions. Topic Based Assignments are given to trainees to develop their programming skills. Hands on Training are imparted on Live Projects by industry experts. Project completion certificate is awarded by SAG INFO TECH PVT LTD.
We provide training on the technologies, which are hot in the market. We make sure that the course content will be par to the versions which are used in the industry by constant updation. The courses are specifically focused on the industry standard since the instructors are directly from the industry. Our instructors are from Microsoft, Wipro, Cisco, Nokia, IBM etc. Our course just doesn't prepare you for the interview; it prepares you for the Job. Join our course to get quality training that can help you banish all hesitations associated with the "Fresher's Tag".